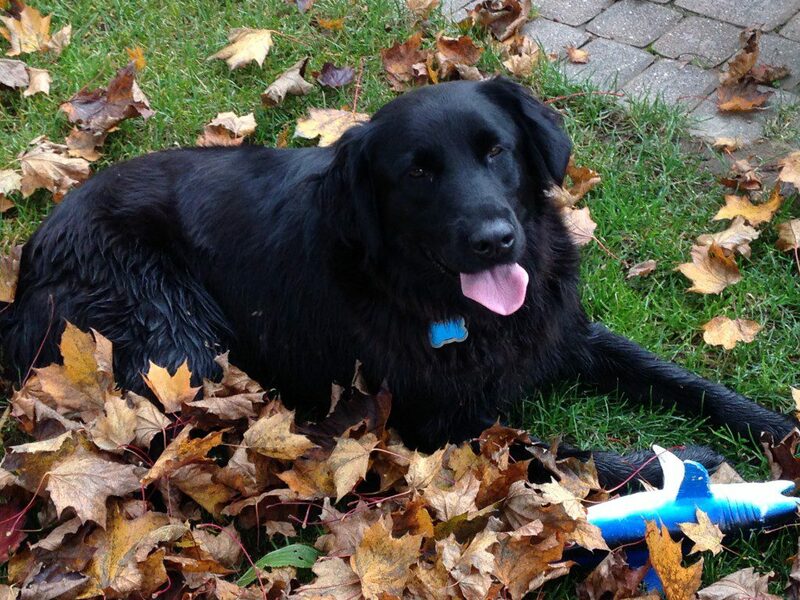 Bear Helps Me Rake - NOT! - Reading is fun with Bear! Ma picks up the rake. Rake, rake, rake, rake, scoops leaves into the bag. 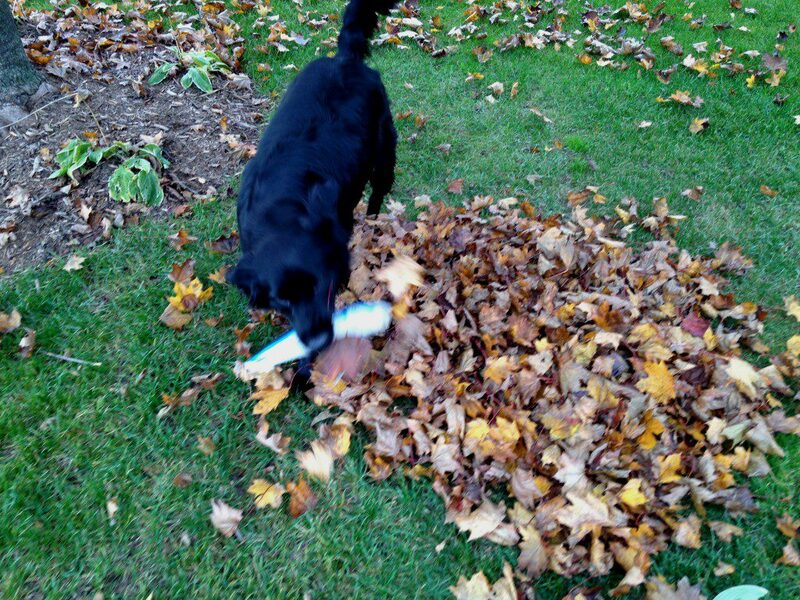 Ma; rake, rake, rake, rake, scoops leaves into the bag. Ma pushes leaves down into the bag. Bear runs over to Ma with shark toy. 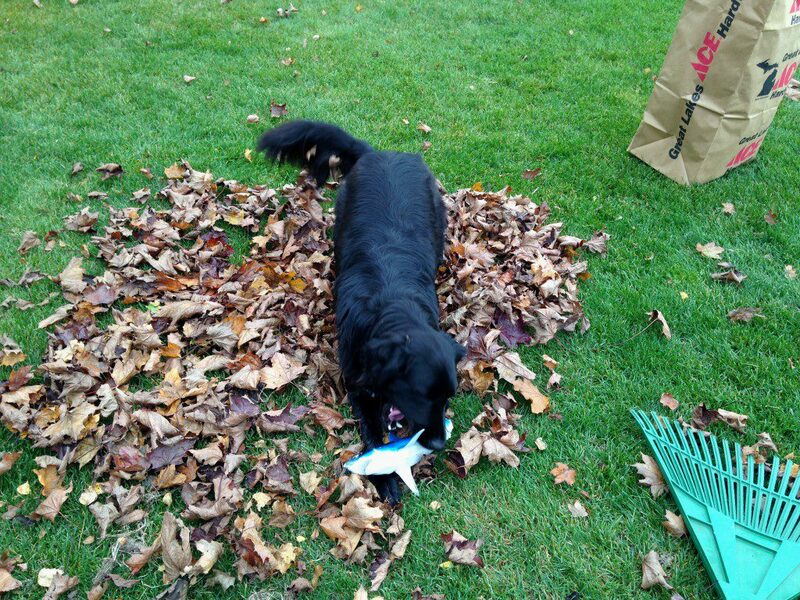 Ma drops rake and throws toy shark for Bear. Bear brings toy shark back to Ma. Ma repeats throwing toy 2-4 times. Whole process starts over. 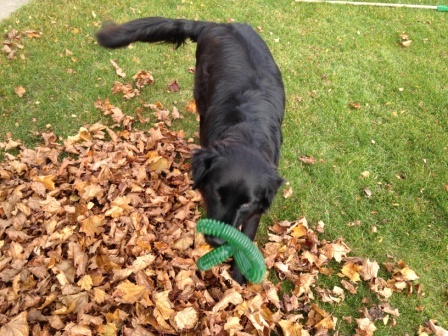 Ma; rake, rake, rake……. 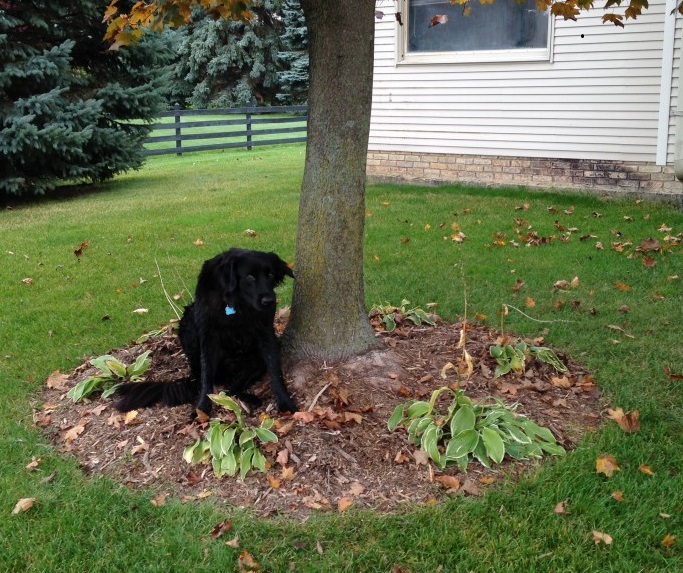 Ma stops to take pictures of how Bear is interrupting her. 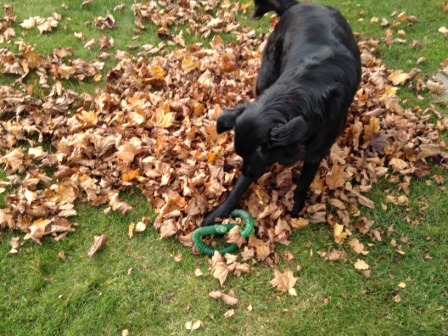 Then Bear find a new toy to play with. Bear gives Ma a break, but he keeps his eyes on on his toys . . . just in case she picks one up. 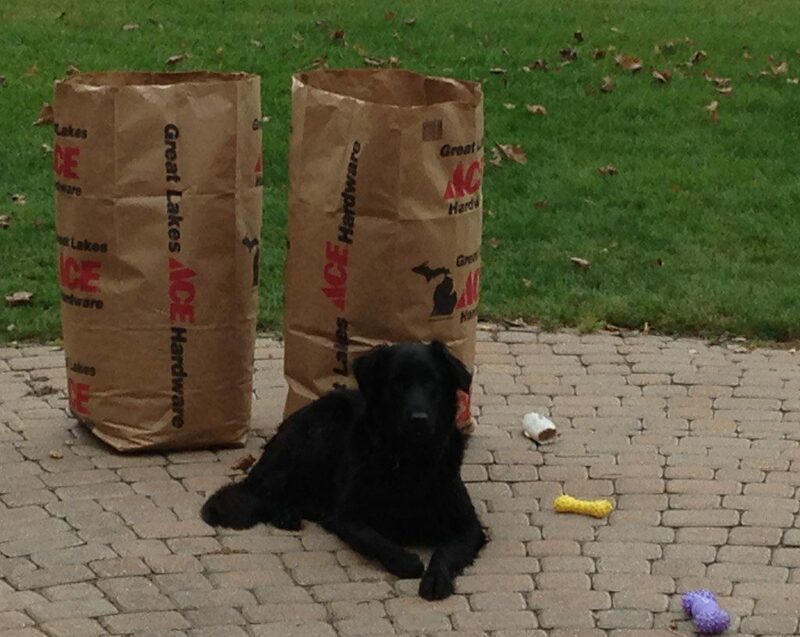 When “we” were done, Bear sat proudly in front of the bags to show our accomplishment. So, there’s only two bags of leaves. What do you want from a dog and his helper?! 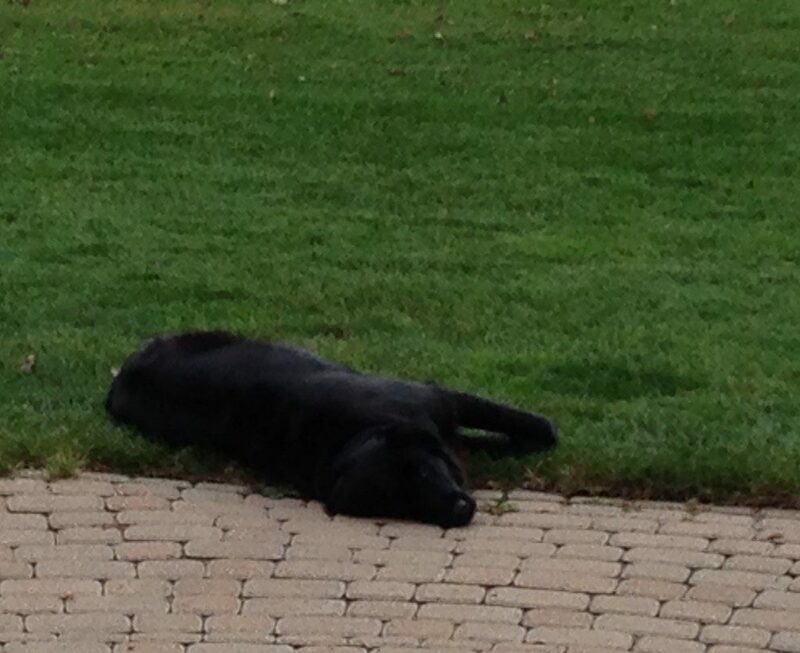 And then it was nap time for Bear. That was hard work!